(d) Erroneous or falsified certificates of registration, pedigrees and/or genetic background. Note: These conditions may also exist in small volume or single breed establishments." They sell primarily to retail pet shops (usually via a broker), but occasionally sell directly to individual consumers. 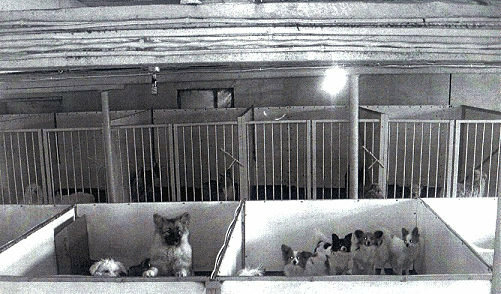 Dogs are bred solely for profit, with no concern for their physical health or psychological well-being - most are disease-ridden; all are force-bred continuously. They often use "Kennels" or "Farms" in its business name. 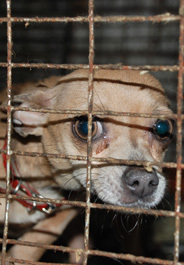 Dogs' and puppies' are usually in squalid living conditions and are off-limits to the public. 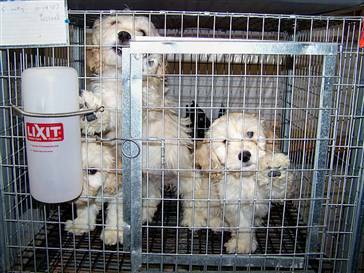 If you think you have been to a mill or have seen substandard conditions at a breeders establishment please call your local SPCA/Humane Society IMMEDIATELY to report what you saw. Only witnessed accounts can be reported.